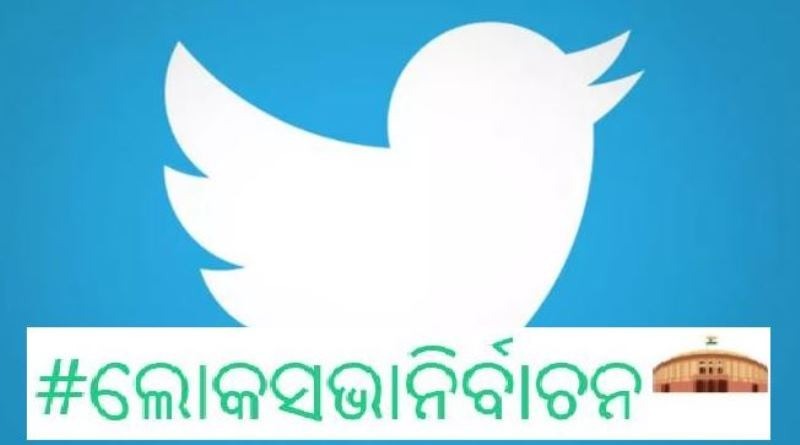 To promote healthy involvement in election-related discussions and to encourage more number of people to vote, Twitter India launched a special Lok Sabha poll emoji in Odia language. The Twitteratis can make use of the emoji, available in 12 languages – Hindi, English, Bengali/Assamese, Gujarati, Kannada, Malayalam, Marathi, Odia, Punjabi, Tamil, Telugu, and Urdu featuring an image of the Parliament of India. #ଲୋକସଭାନିର୍ବାଚନ, #लोकसभाचुनाव2019, #লোকসভানিৰ্বাচন, #લોકસભાચૂંટણી, #ಲೋಕಸಭೆಚುನಾವಣೆ, #ലോക്സഭാതെരെഞ്ഞെടുപ്പ്, #LokSabhaElections2019, #IndiaDecides2019, #IndiaElections2019, #लोकसभानिवडणूक, #ਲੋਕਸਭਾਚੋਣਾਂ, #లోక్సభఎన్నికలు, لوکسبھاانتخابات# and #நாடாளுமன்றதேர்தல்.